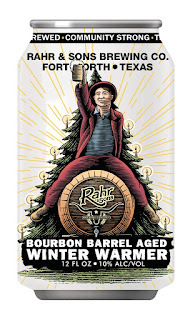 It's a year of firsts for one of Rahr & Sons Brewing Co.'s most popular beers, as the Fort Worth brewery readies the 2017 release of Bourbon Barrel Aged Winter Warmer (BBAWW). Due next month, this year's batch of BBAWW was aged 100% in Jack Daniel's Single Barrel Tennessee Whiskey barrels. 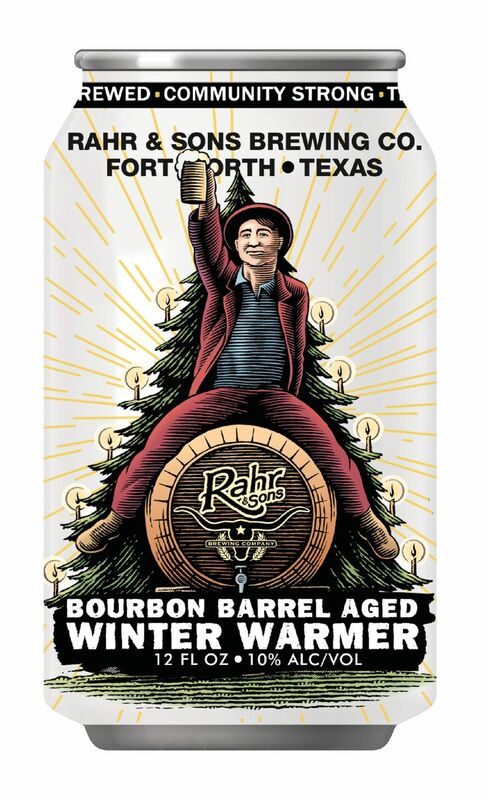 In the past, Rahr & Sons has blended the aged beer with a fresh batch of Winter Warmer (the base beer) to fine tune the flavor, but the 2017 edition of BBAWW will be the first to emerge in unblended form. On top of that, Winter Warmer was brewed to a higher strength ahead of the aging process in order to withstand the alcohol present in the barrels. As a result, consumers should expect BBAWW to have a stronger overall flavor profile. According to a press release, Rahr & Sons partnered with Jack Daniel’s as part of the distillery's barrel program, in which whiskey barrels are supplied to select independent brewers to utilize in making craft beers. As part of the program, Jack Daniel’s produced a video about Rahr & Sons’ process of brewing BBAWW to promote the beer’s launch (click here to view). Also a first, BBAWW will roll out to retailers in 4-packs of 12-oz cans. Look for it, as well as Angry Santa (which will also be canned for the first time), to hit shelves in November.